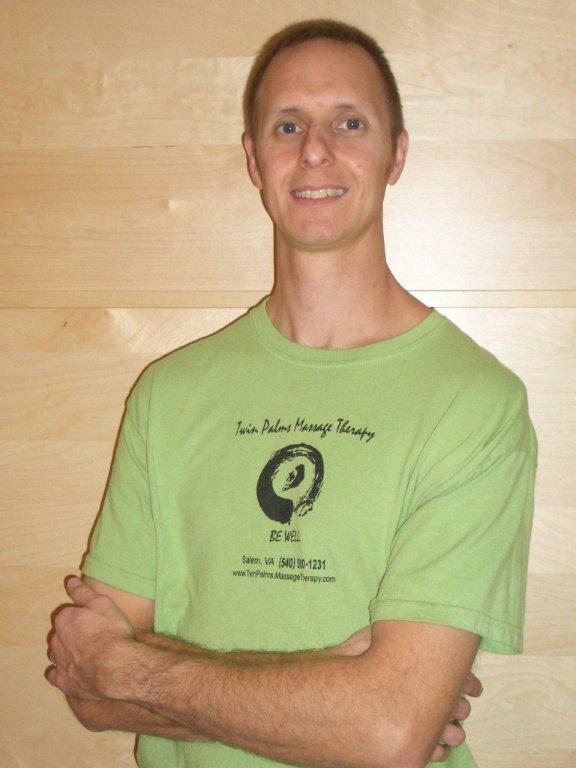 Eric Goodbar, CMT has been providing Therapeutic Massage since 2000 and has had training in many different types of bodywork including Swedish, Deep tissue, Pregnancy, Kiatsu, Sacred Lomi Lomi, and The Rossiter System. Using an eclectic approach Eric’s massages are one of a kind and must be experienced to appreciate. The body naturally operates and heals most efficiently when it’s open, calm, and relaxed. Tension restricts blood flow, lymph flow, communication via nerves and hormones as well as blocking energy flows recognized in eastern healing arts like Acupuncture, Reiki, etc. Tension constricts necessary openness, space. Restricting this openness or space is why health and healing decline physically, emotionally, and spiritually. Stress affects everyone differently and we need to do something to counter the negative effects. Massage is a wonderful way to help your body, mind, and spirit find balance, providing space, and allowing openness for healing and proper function to happen naturally as it was created to do. Every time you get a massage you are teaching your body to relax and in return you continue to get better at letting go of tension in the real world. I look forward to helping you seek balance and find a little harmony in your life. Job-site chair massage programs produce numerous proven benefits for your company and your employees. Whether your aim is greater productivity, reduced absenteeism, or a memorable reward for a job well done, Job-site chair massage is a high-return investment in your company’s workplace wellness program. Who uses Job-site chair massage? Why use Job-site chair massage? When is a good time to arrange Job-site chair massage? How to get started with Job-site chair massage? Encourage all employees to participate and sign up for the appointed times.